distinguish between conflict and bullying. 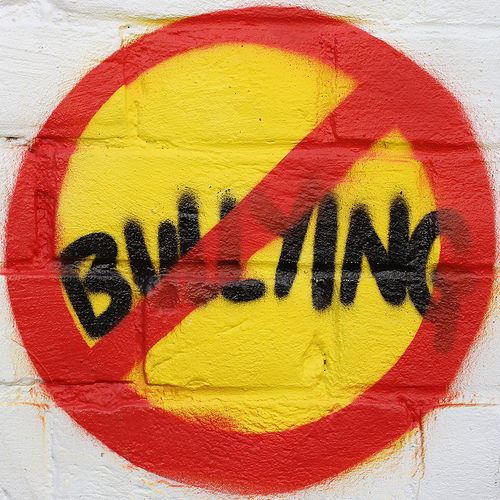 understand the need to have a zero tolerance policy on bullying in your space. 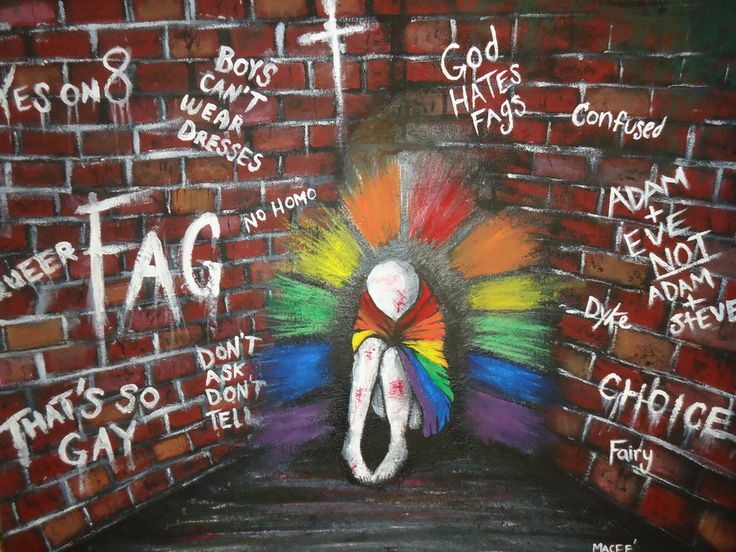 understand the impact of bullying has on LGBTQ2S. The topic of bullying is an important issue for staff at youth serving organizations to be aware of and to discuss as a team and with youth. A great organization working on the issue of bullying in schools is Safe@School. They define bullying as “the abuse of a power imbalance with the intent to harm someone” (Safe @ School). Bullying can be repeated behaviour of one act (depending on the impact). … disagreement or a difference of opinion or interests between equals. The people involved in a conflict may disagree vehemently and emotions may run high. When conflict is badly managed, it may result in aggression. In a conflict, both parties have power to influence the situation. That is their goal (Safe @ School, n.d.). the threat – implicit or explicit – of further aggression (Safe @ School, n.d.). Since conflict and bullying are not the same, different responses are needed for each. Your organization may have a conflict resolution model/process. It is important that this is posted in high traffic areas of your space. It is also important that youth are informed of the process (soon after the intake process). Safe@School has a great worksheet to help distinguish between conflict and bullying. Click here to review this tool. 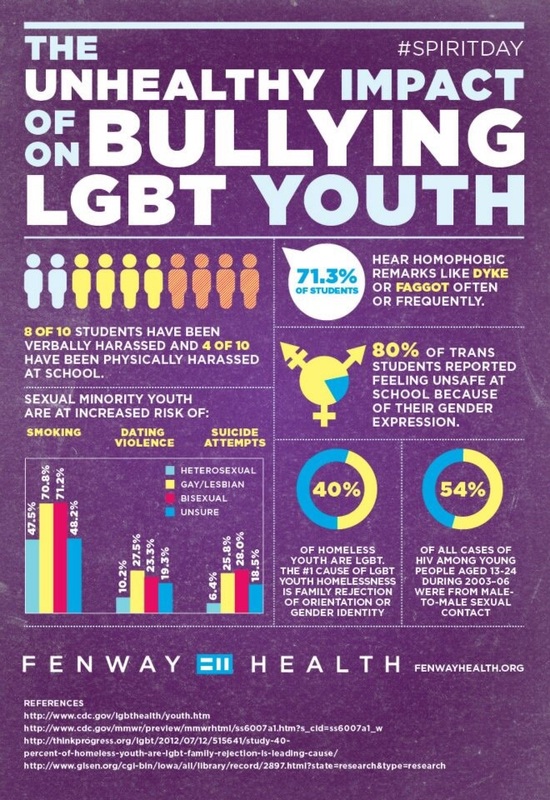 The topic of bullying is important when working with LGBTQ2S youth because these youth are more likely to have experienced bullying because of their sexual orientation and/or gender identity. It is important that you are able to recognize the signs of bullying and have the tools required to intervene (training, policy and procedures etc.). A great organization that supports LGBTQ2S youth is The Lesbian Gay Bi Trans Youth Line. Here is a short film about Sam. After being bullied and beaten at school for dressing like a boy, Sam escapes into the fields surrounding her house. When she can’t find her way out, she’s forced to spend the night there and choose between who she is and who society thinks she should be (Bardo, 2013). Nearly two-thirds report feeling unsafe in school because of their sexual orientation, and nearly 40% felt unsafe because of their gender expression. 85% of LGBT[Q2S] students report being verbally harassed, 40% report being physically harassed because of their sexual orientation. 64% of LGBT[Q2S] students report being verbally harassed, nearly 30% report being physically harassed because of their gender expression. Anti-LGBT[Q2S] bullying leads to absenteeism, lower grades, reduced self-esteem and, in too many cases, depression and suicide. Students who were more frequently harassed because of their sexual orientation or gender expression reported a grade point average almost a half grade lower than for students who were less often harassed (2.7 vs. 3.1) (GLSEN, n.d.). Gay Straight Alliances are one way schools are becoming safe enough spaces for LGBTQ2S youth. A GSA is a student-run group that provides a safe place for any and all students to meet and learn about all different orientations, to support each other while working together to end homophobia, and to raise awareness and promote equality for all human beings. In addition to being a group dedicated to support, it also strives to educate the surrounding areas and the community on different gender and equality issues (Egale, n.d.). In case management meetings asking youth how they feel at school, in particular do they feel like they are being targeted for bullying. Sometimes youth need to know staff care about their well being in order to begin a conversation. If a young person is experiencing an issue at school, ask them if they would like you to accompany them to a meeting with staff to address the issue. You can also ask the youth if there school as a GSA and ask if the youth has connected with the GSA (if one exists). If their school does not have a GSA, you can discuss with the youth if they would like to investigate setting up a GSA. Egale Human Rights Trust has some great resources on creating a GSA. Work with LGBTQ2S youth to make connections in your local LGBTQ2S community to create a support system and mobilize key stakeholders to address any issues of homophobia, biphobia and/or transphobia. Do you have any recommendations to add? Please add them as a comment on this page and we will add them to the list.